Improve your flower garden, vegetable garden, front yard and home landscape with the help of these free, do it yourself project plans and gardening lessons, hints and tips. Learn how to have beautiful and bountiful gardens indoors, in your apartment, or in small corners of your deck, patio or yard. 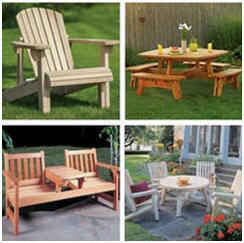 Build your own wooden planters, garden benches and outdoor furniture. Find more than thirty great ideas for both practical and decorative garden improvements, all with step-by-step instructions. Learn how to attract butterflies, how to create beautiful container gardens, how to make garden lanterns, vegetable markers, a compost bin and much more. Make your own row markers, kneeling/carrying tray, grow light stand, seed planting tray and garden tool cart with the help of these step-by-step guides from Extreme How-To Magazine. Build this simple storage cabinet right in your garden. 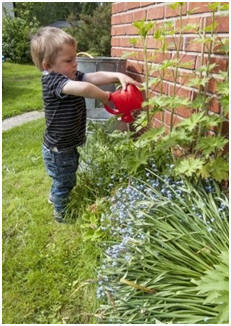 It's an attractive feature and keeps small garden tools dry and close at hand. Free plans and illustrated instructions are offered by The Family Handyman Magazine. Check out the lists and lists of great, free gardeners’ how-to hints and do-it-yourself projects, organized for you at DIY Cozy Home. Keep your garden tools handy and protected from the elements. Build a post-mounted mail box for them. Learn how and then chech out dozens more easy and practical garden and backyard projects in articles from Sunset Magazine. All of the work around your garden could be easier and more fund if you had the right tools and tool organizers. Here are dozens of simple DIY projects that should help. Better Homes and Gardens’ HomeAdvisor.com will give you fast, free quotes on all of your backyard projects from top rated contractors right in your neighborhood. Find great ideas for both practical and decorative garden improvements, all with step-by-step instructions. Learn how to make vegetable markers, a compost bin and dozens more projects for your garden. Find great ideas for your vegetable garden. Learn about straw bale gardening, which fruits and vegetables you can grow from scraps, how to build raised garden beds, what you can grow in small-space containers and much more. Learn how to plan, plant and grow a bountiful backyard garden and how to build a bunch of wooden tools to make your garden chores easy. Learn all about the French Intensive gardening methods, how to make a compost bin and how to build your own potting bench. Build your own raised garden beds, potting bench, compost bin or cold frame. Learn how to have a bountiful kitchen garden in a small space. Get ideas for creating a beautiful, decorative vegetable garden that's a feature in your landscape. Extend your growing season with a cold frame, garden row covers or cloches. Here's how to build your own with free plans and guides. Here are a bunch hints, tips, guides and good advice that will help you create and maintain a bountiful backyard vegetable garden. Create a beautiful little fountain, waterfall or water garden in a corner of your deck, patio or yard. Follow easy, step-by-step instructions, plans and photographs from The Family Handyman Magazine to get great results. Learn how to build a little salad-growing box, how to plant a one-pot vegetable garden, how to choose the best crops for pots and how to grow all types of vegetables and herbs in tiny spaces. Free guides and project plans from Sunset Magazine will show you how. 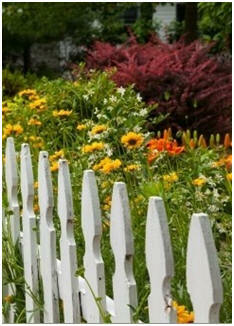 Garden Gate Magazine offers its online viewers a variety of beautiful garden designs. You can download free plans and see their recommended layouts of plants and flowers. This is just one of the lists and lists of great, free gardeners’ how-to hints and do-it-yourself projects that are organized for you at DIY Cozy Home. Have the peaceful gurgling of a little bubbling fountain or a tiny water garden garden in a container that you can build yourself. Features on Extreme How-To Magazine will show you how. Build outdoor furniture, backyard structures, small and simple homes, cabins, cottages, barns, stables, garages, sheds and more with the help of professional blueprints, building kits, manufactured buildings, do-it-yourself project plans, construction products, tools and good advice. Click to read more about hundreds of great designs. 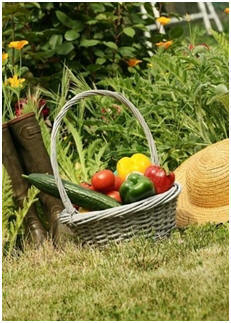 Have bountiful vegetable, fruit, herb and flower gardens without using harmful chemicals. Learn how to use simple, safe and natural methods to fertilize your garden and to rid it of pests and weeds. Download any of six free books that are packed with good advice and helpful hints on all aspects of vegetable, herb and small fruit gardening. Learn how to plan and create a beautiful flower garden or home landscape design. Here are dozens of top guides that are sure to help. The folks at DIYCozyHome.com search the Internet to find and create fantastic lists of free projects and helpful how-to guides for you. Then, they post them on DIYCozyHome.com. Check out some of the great gardeners' do it yourself projects that they found..
Add an elegant focal point to your landscape. Build your own gazebo, shade pergola, arbor or vine-covered arched gateway. 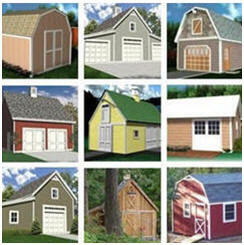 Just click on the arbor at left to check out a list of dozens of beautiful designs with free building plans. Build and install your own fence, gate or screen wall. It's easier than you'd think with the help of free building guides and project plans. Or, design your own fence and print out plans and material lists with the help of free software. Learn organic gardening techniques for thriving flowers and shrubs. Get inspired by dozens of landscape designs and free garden plans. Get tips, hints and good advice on how to add curb appeal to your yard. Design and build your own deck with the help of free, stock deck plans. Or, create a custom deck that fits perfectly into the shape of your home. Check out our list of dozens of free deck plans, deck planning and design software, deck building guides and how-to tips, and deck furniture project plans. 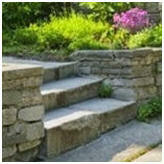 Learn how to build your own brick, flagstone and bluestone garden paths and patios. You'll need patience and a strong back, but these guides, from top pros and publishers will almost guarantee great results and years and years of maintenance-free use. Enjoy a backyard Koi pond or water garden. Relax to the sound of a gurgling waterfall. Add a beautiful fountain to the corner of your patio or garden. Click through to find dozens of great design ideas and do it yourself building lessons. Get started on your new shed, cabana, yard barn, garage, car barn, hobby shop, carriage house, workshop or backyard studio right now. With one order for just $29.00 you can download professional construction blueprints for over one hundred different designs. You'll be able to download any and all of the plans right away and print as many copies as you need to get permits, to get contractors' bids and for construction. The set comes with a full money-back guarantee. Build attractive wooden planters for your porch, deck or patio with the help of this free plan sets from The Family Handyman Magazine. This elegant planter and bench project will add a touch of style to your garden, patio or deck. The modular design lets you combine as many units as you you'd like to build and create your own perfect layout. Download the plans at Free-ProjectPlans.com. Follow Extreme How-To Magazine's illustrated, step-by-step guide to learn how to create beautiful landscape and garden feature walls. 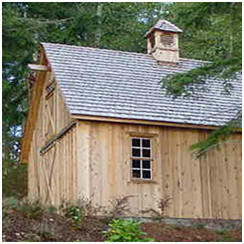 These free, instant download, do-it-yourself building plans from Georgia-Pacific include detailed drawings, material lists, safety advice and how-to hints. You don’t need any special woodworking skills to build a handy gardener’s bench in a weekend. You just need these downloadable plans and instructions from Family Handyman Magazine. Build a potting bench to make all of your garden projects easier. Here are ten nice designs for you to choose from. Improve your yard and landscape with a new birdhouse, dog house, fire pit, brick barbecue, shed, playhouse, yard barn, guest cottage, hobby greenhouse or backyard studio or office. Check out our big directory of the Internet's best free plans and building guides. Build your own wooden outdoor furniture with the help of free plans and step-by-step instructions from top woodworkers and publishers. Find do it yourself plans for hundreds of picnic tables, Adirondack chairs, porch swings and rockers, easy-to-store folding furniture, outdoor storage solutions, tree benches, garden benches and much more. Use the directories here at Today's Plans to find your new storage shed, garden shed, tool shed, mini barn, potting shed, woodshed, hobby greenhouse or outdoor closet. Choose from hundreds free plans. Learn how to build all types of buildings with the help of these illustrated, step-by-step lessons. Turn any plan into a do-it-yourself project, save construction costs by finding out which parts of the project you can handle yourself, or learn enough to understand and follow your contractors' progress. Help yourself to hundreds of plans for sheds, garages, workshops, cabins, cottages and solar homes, offered for free by some of the Internet's top designers and publishers. Then, check out our lists of thousands of free, do it yourself woodwork and home improvement project plans too.